24 H face cream wrinkle filling for mature skin, based on high concentrations of Gardenia Jasminoides stem cells and on the active Bio-HLS Vital Complex, has a powerful biostimulant action mainly designed to target the reticular and papillary dermis. This process is followed by a significant increase in the formation of hyaluronic acid and collagen fibre. 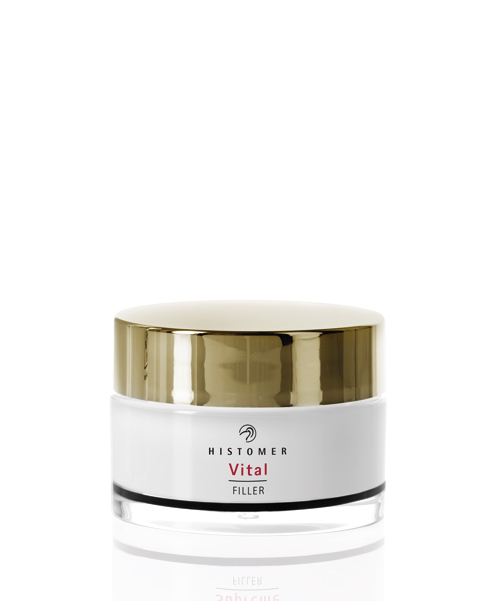 The dermis becomes full and supple, with a wonderful texture and less visible wrinkles.